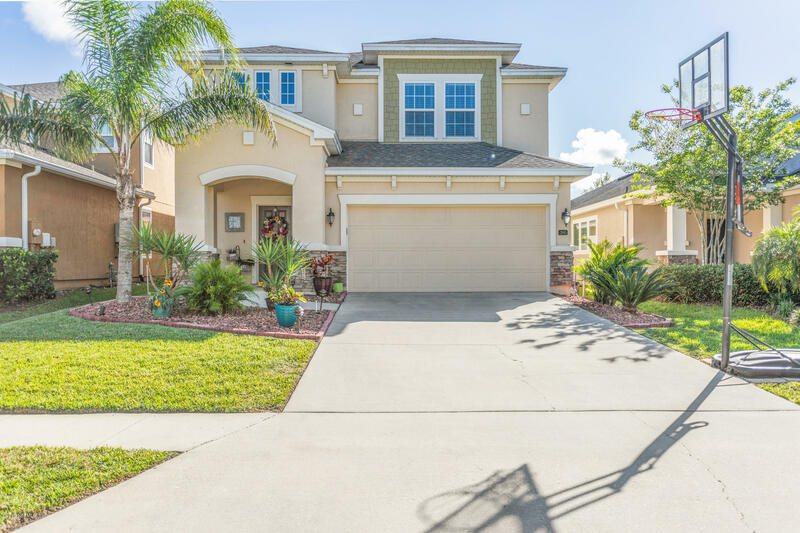 Welcome Home to the sought out Nocatee Community and Nocatees's VALLEY RIDGE SCHOOL DISTRICT. Enjoy all the LUXURY this community has to offer including SPLASH PARK. This 4 bedroom 3 1/2 bath features an extensive open floor plan with natural gas, granite countertops, stainless steel applinaces . The open floor plan offers plenty of room for entertainment out on your covered screen(pavered) lanai that is prewired for surround sound,natural gas gril or firepit,upgraded outlet for HOT TUB. This home will not disappoint. PLEASE SEE ADDITIONAL SUPPLENTAL INFORMATION UNDER DOCUMENTS . Thank you for the showing Seller will consider paint and carpet allowance.